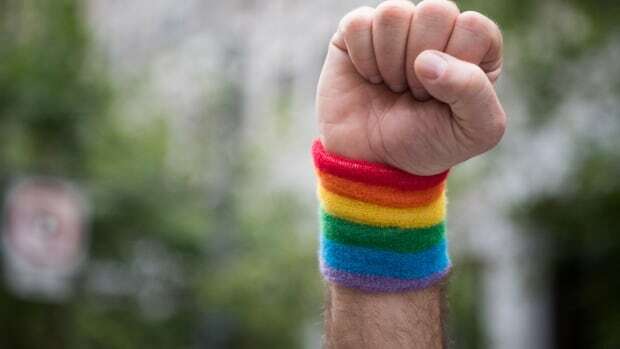 New directives from the Canadian Armed Forces (CAF) circulated internally today and obtained by CBC News give guidelines on medical and surgical supports, uniform and naming protocols, and accommodations for bathrooms, showers and other private areas. “The revised version is less restrictive than in the past, strives to ensure consistent application, and encourages open lines of communication,” reads a statement from the Department of National Defence. The document replaces a previous 2011 policy for “transexual members” and features updated language. Canada’s policy is in sharp contrast to the U.S., where Trump ordered a ban on transgender members “in any capacity” in 2017. That ban, widely condemned as bigoted and discriminatory by critics, is being challenged in the courts. When Trump announced the ban, the CAF tweeted its pro-LGBT position. “We welcome Cdns of all sexual orientations and gender identities. Join us!” it read, with a photograph of Royal Canadian Navy Band members playing instruments festooned in Pride colours. The guidelines also offer supports for members who choose to transition. “When a transgender CAF member seeks to align their gender expression with their gender identity, immediate leadership action is required to address any discriminatory conduct in order to reinforce diversity as a core CAF value that is critical to operational success,” the policy reads. The military does not track statistics on how many members identify as transgender. DND spokesperson Derek Abma said the CAF is placing a new focus on recruiting and retaining underrepresented populations, including LGBT members, and recently participated in Toronto’s Transgender Job Fair. “The CAF is committed to building a force that is composed of individuals with new perspectives and a broader range of cultural, linguistic, gender, age and other unique attributes, to better understand our increasingly complex world and respond to the challenges it presents,” said Abma.